Exclusively available in the UK from Bushwood Books. 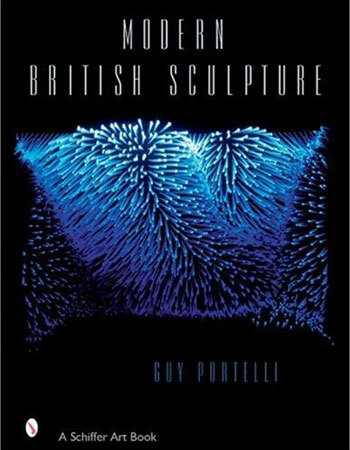 A comprehensive study of modern sculpture developments in Great Britain, this beautiful and important new book showcases 95 leading sculptors from the second half of the 20th century. Chronologically arranged to show the influences that touched each of the artists' lives, it concentrates on the most influential, award-winning, and highly valued works from the growing field of popular sculpture available today. The artists themselves selected most of the pieces to represent their own work and are liberally quoted with personal statements to interpret their work for the readers. 780 color and black and white photographs display the wide range of materials, themes, styles, and settings that convey each individual sculptor's own classical, figurative, abstract, or visionary work. A history of the Royal Society of British Sculpture (RBS), Derek Morris PP RBS., sets forth the purpose and results of this prestigious group today. Essays on the St Ives group of the 1940s and figurative sculpture of the 1950s put the growing sculpture movement in Britain into perspective. From them sprang several generations of influential sculptors whose work challenges current sculptors to push the bounds of artistic expression. They must create, and they do, in countless original ways. The growing popularity of sculpture parks in Britain is currently influencing new sculpture parks all over the world. The exciting images and wealth of specific information contained here will continue to shape the art market for generations to come.